A perfect wedding gift for a newly married couple as they embark on their lives and honeymoon together! 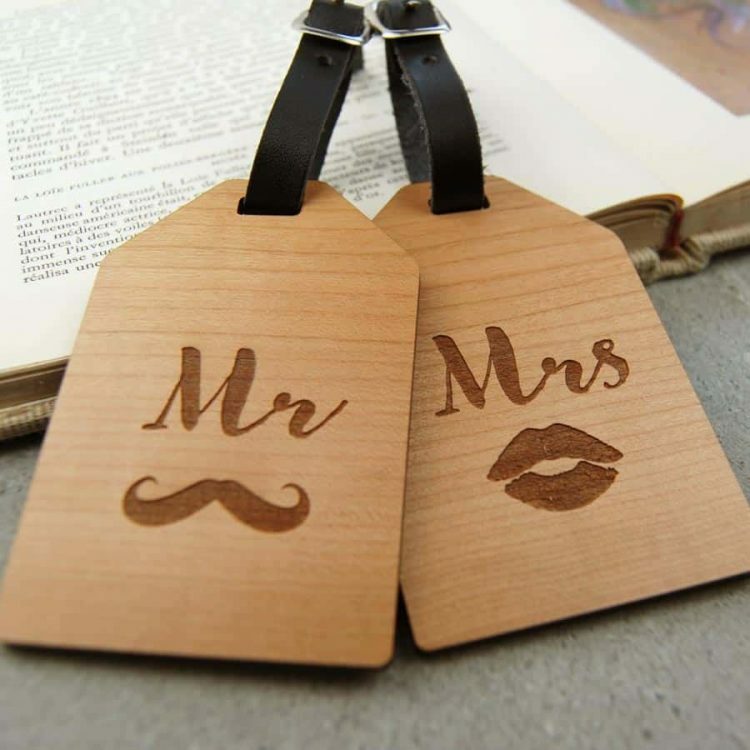 A set of two beautiful Mr & Mrs wooden luggage tags engraved with moustache and lips icons. 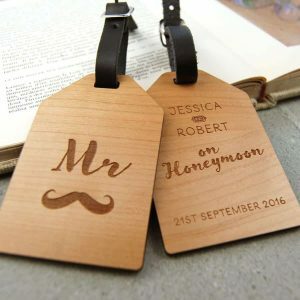 You can also further personalise the luggage tags by adding a message of your choice to the back. 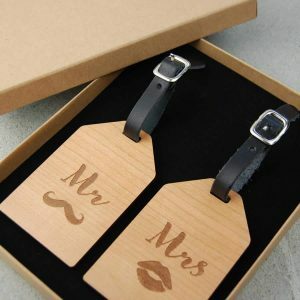 This could be a message of best wishes to the happy couple, the date of the wedding or a fun and romantic quote. You can choose up to 100 characters and this will be laser engraved at the back of the tags.